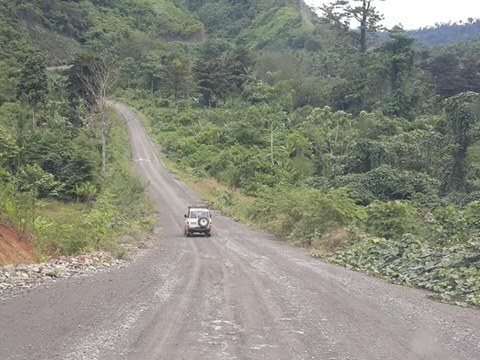 THE PNG's Morobe government does not want “fly-in-fly-out” for workers for the Wafi-Golpu mine project, says Governor Ginson Saonu. Saonu said the proposed Nadzab Airport City would cater for the accommodation of employees. “We are prepared to share whatever land we have to make this happen,” he said. Saonu said this when presenting Morobe’s five-year development plan to Planning Minister Richard Maru in Port Moresby yesterday. Maru said the government would budget for land at Nadzab to be made available to the mining company. “We would like all the families to be located there, housing estate to be located there and they can easily go up to the mine,” Maru said. “We want to make sure that Nadzab has a city and supermarkets. “We must look at water, sanitation and sewerage for the airport. Maru said he had spoken to Lands Minister Justin Tkatchenko about putting a team together for Nadzab Airport City development.